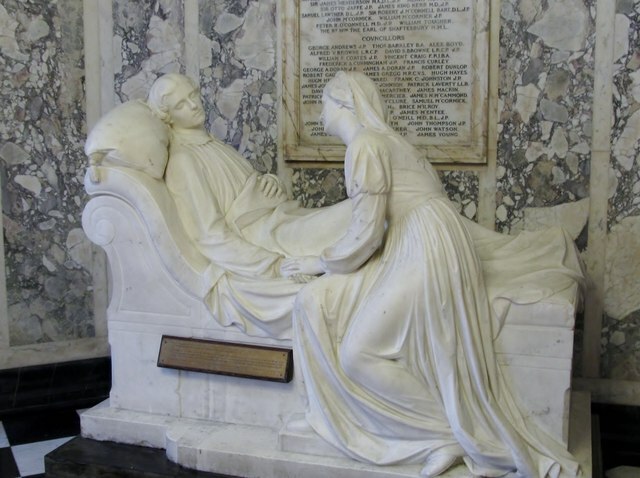 The 26 year old Earl of Belfast (Frederick Richard Chichester) died of scarlatina in Naples in 1853. The statue is the work of the Irish sculptor Patrick McDowell (1790-1870). It is one of the finest Irish statues.The statue stands at the entrance to Belfast City Hall.